The 1st of August is Lammas, when traditionally bread made with the first grain harvested that year, would be baked and eaten. Lammas derives from the Anglo-Saxon for loaf mass, and celebrates the first harvest festival of the year, when the first grain to be harvested was made into a loaf which was bought to Church to be blessed. Sometimes the blessed loaf was used for magic, and was broken into 4 parts and placed at each corner of the barn to protect the newly harvested grain. 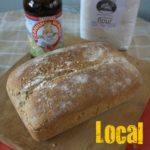 This Lammastide The Real Bread Campaign are encouraging people to celebrate great bread by baking or buying a local loaf for Lammas day. 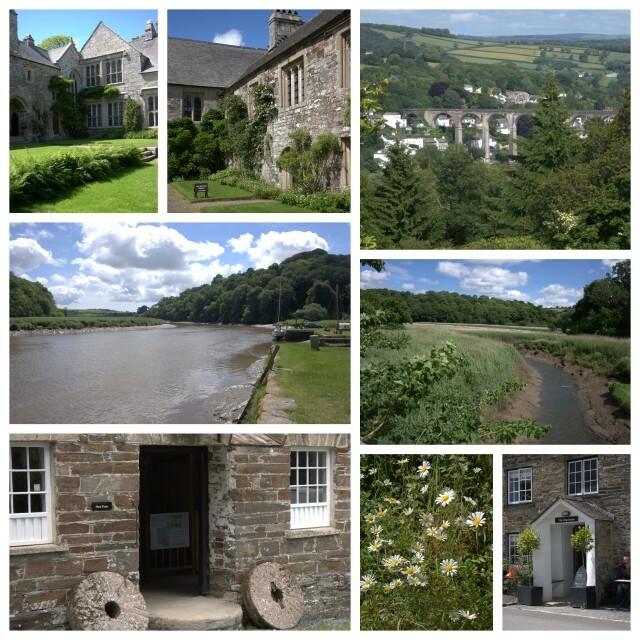 Nestled on the Cornish side of banks of the Tamar; the river which divides Cornwall and Devon, lies the Cotehele Estate. Now owned by the National Trust, it is peaceful, stunningly beautiful, with an attractive house that is not overwhelmingly grand. The formal gardens surrounding the house overlook the Tamar rail bridge, and give way to woodland and meadows nearer to the river. The estate contains orchards, a cider press, a restored Tamar sailing barge (one of the few remaining) and a mill where organic local flour is ground. 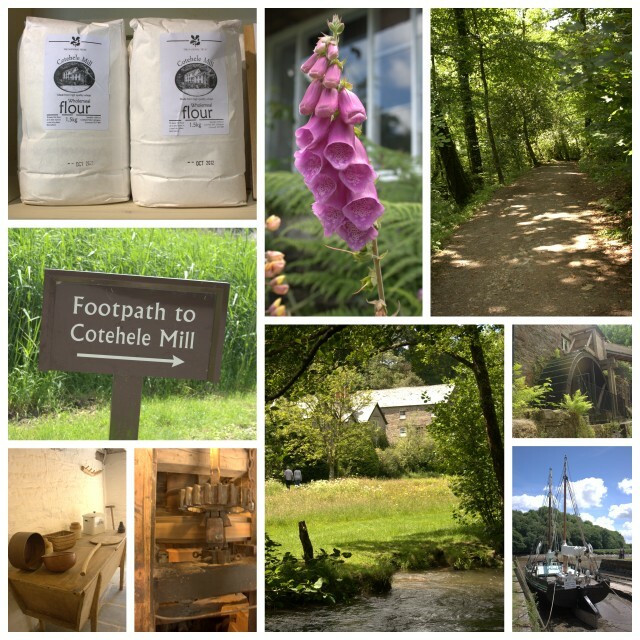 I had not been to Cothele for many years, and on our way back from a trip to Cornwall earlier this year we stopped for an afternoon to explore and importantly to buy some flour. My offering for the Lammas is a Cornish loaf, containing the Cothele flour, Skinner’s Cornish Blonde beer and Davidstow Cornish cheddar. Like with many things practice makes perfect, and baking bread is no exception. I was delighted with my loaf, which was not only delicious, but looked fantastic too with a slit along the top and a perfect muffin shaped crust where it had just spilled over the top of the pan. I have to pass some of the credit to my stand mixer, FiFi La Firecracker who does sterling service kneading the dough. 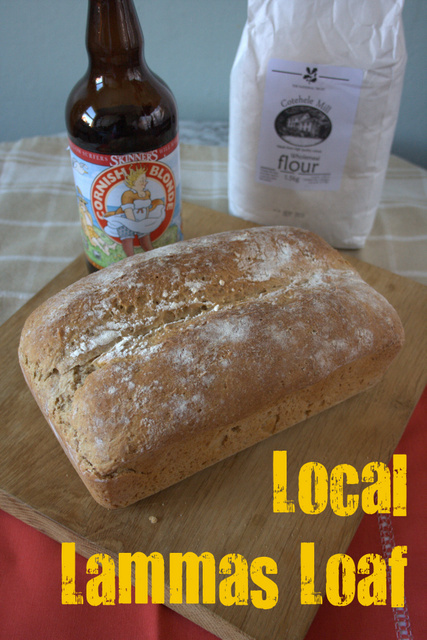 If you try this Recipe: Cheese & Beer Loaf – Local for Lammas Day please tag #FussFreeFlavours on Instagram or Twitter. It is amazing for me when for me when you make one of my recipes and I really do love to see them. You can also share it on my Facebook page. Please pin this recipe to Pinterest too! Thanks for reading Fuss Free Flavours! 1 tbs oil – olive / rapeseed / hemp etc. Pour the beer into bowl, add the yeast and swirl until it is dissolved. Add the other ingredients. Knead with the dough hook attachment of your mixer on the lowest speed for about 4 minutes until a smooth stretchy dough has formed (if you knead by hand it will take longer). Cover with cling film and leave in a warm place for a few hours or in the fridge overnight. It should more than double in size. In the morning turn out onto a floured board and gently knock the dough back. Shape the loaf, place in an oiled and floured 1lb loaf tin. Leave somewhere warm until doubled in size again. Place in a preheated oven at GM7 / 220C / 425F and bake for about 40 minutes. For a crustier loaf place a small dish of water in the oven under the loaf. When it is done it should turn out of the tin and sound hollow when tapped. It always takes longer to bake than you think it will, so my general rule of thumb is that if you are unsure give it another 5 mins.